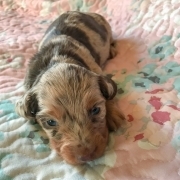 Molly is super sweet and lovable! She’s not quite old enough to play yet but loves to snuggle up next to you! 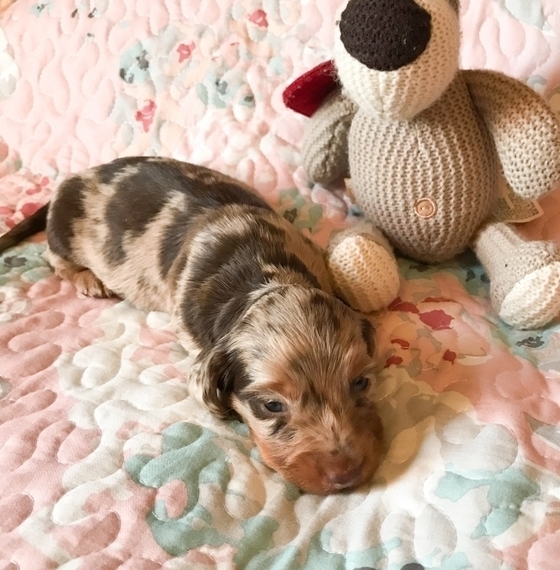 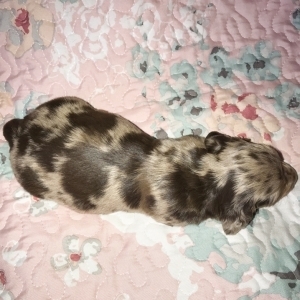 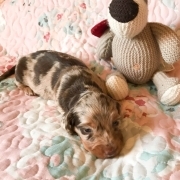 Who can resist her beautiful chocolate and tan dapple color! 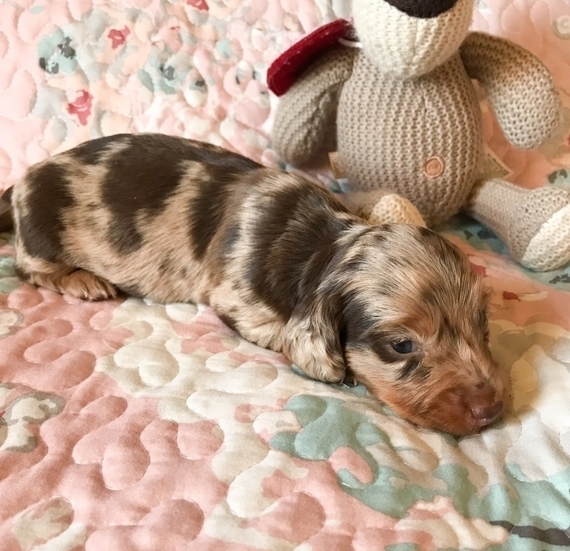 She is definitely a head turner! She will come with her AKC registration and be current on vaccinations with a nose to tail vet check! Call about her today before it's too late. She is waiting for you.